Chicken and peas, Indian style is such an easy and tasty dish to make. Traditionally, this dish is called Matter Keema. 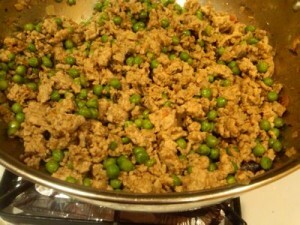 Matter, meaning peas and Keema, meaning minced meat. I’ve revamped this dish so you can use either lean, ground chicken or ground turkey. This way you have a healthy, traditional tasting dish, without sacrificing any flavor! I hope you enjoy my recipe below for Matter Chicken. In a sauté pan, add the oil and place on medium heat. Once hot, add the onion, garlic, ginger and chili. Sauté these for 5-7 minutes or until browned. Once browned, add the tomato, cumin powder, garam masala, coriander powder, cinnamon, salt and pepper. Sauté for another five minutes, until fragrant. Add the ground chicken and cook. 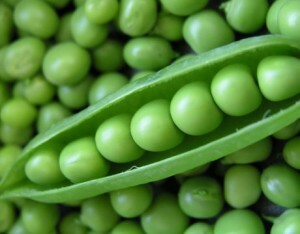 Once cooked, stir in the peas. Stir this for a couple more minutes, until peas are warmed through. Enjoy with some warmed pita bread or brown rice! This entry was posted on Wednesday, December 29th, 2010 at 3:13 pm and is filed under Recipes.